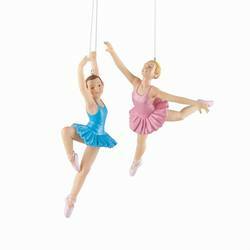 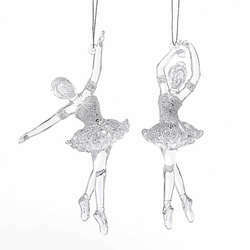 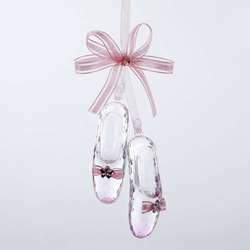 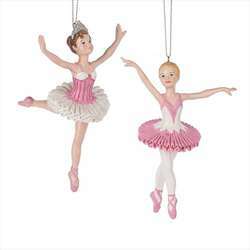 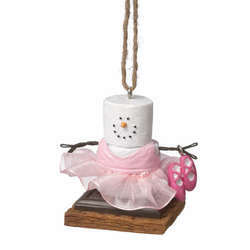 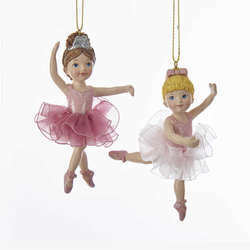 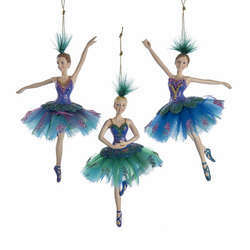 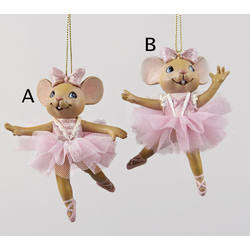 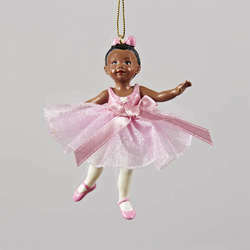 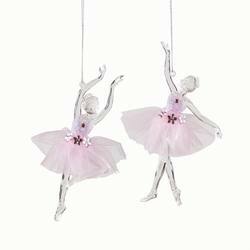 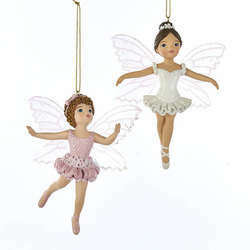 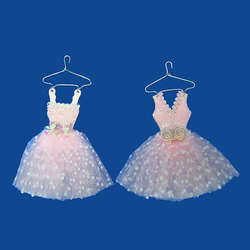 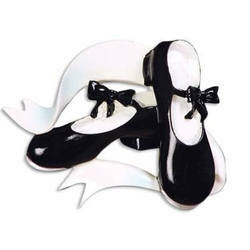 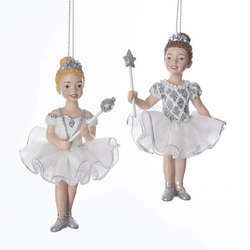 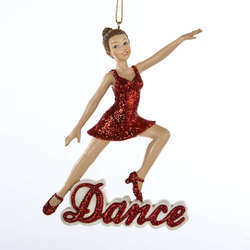 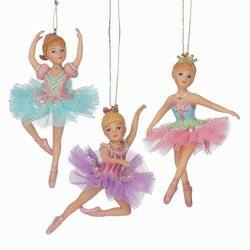 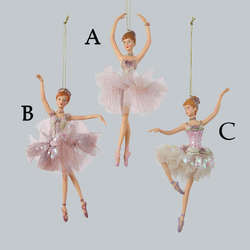 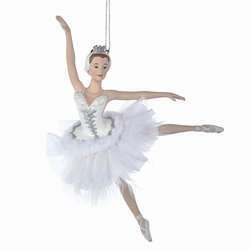 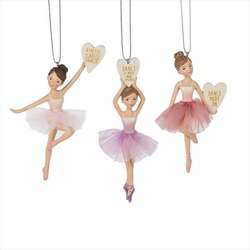 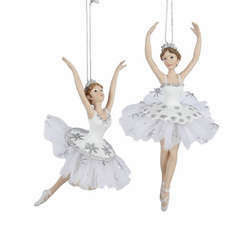 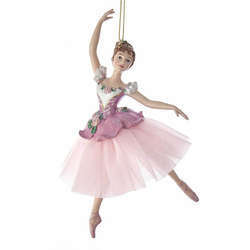 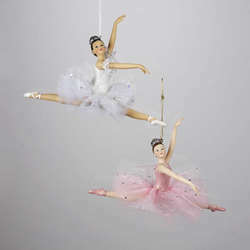 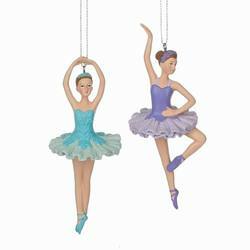 These adorable Ballerina Girl With Tutu Ornaments are ready to dance their way right into your heart! 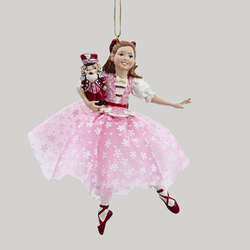 The brunette ballerina is wearing a sparkling tiara and a pink dress with a dark pink poofy skirt. 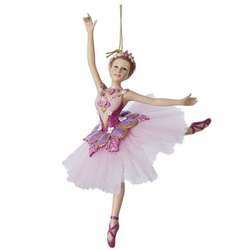 Meanwhile, the blonde ballerina is not to be outdone with her beautiful pink bow, pink dress, and white poofy skirt. 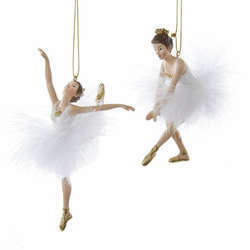 Both of these cute dancers are made out of resin and are 4 inches tall. So whether you're watching your child's recital or heading out to a performance of The Nutcracker this Christmas, they're sure to get you in a dancing mood!